Microsoft recently published a technet article outlining the different ways to migrate away from Skype for Business to Microsoft Teams. The article currently contains 5 different migration methods. Lets take a closer look at each of them, and how they might be used within your organisation. Running custom SfB applications such as a call centre app, or on premise UCMA/UCWA app. If this is you and your goal is to adopt Teams quickly, you can easily start using Teams for collaboration. 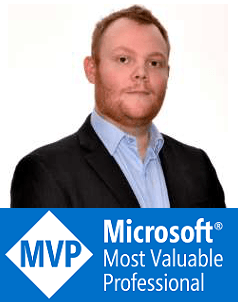 Your users can quickly faimilarise themselves with Teams and how they can use it to work with colleagues on documents in SharePoint and OneDrive, as well as sharing ideas within their newly created Teams and Channels. No overlapping capabilities between Teams and Skype for Business. Instant messaging and chat will reside in Skype for Business (tied to calling). Migration Method 2: Skype for Business with Teams Collaboration and Meetings. Maybe you already have a Skype for Business deployment with significant use of enterprise voice, but right now some of your calling requirements aren’t yet met by Teams calling (such as a third party meeting service). If this sounds like you, consider enabling Teams for Collaboration as well as Meetings. Existing Skype for Business scheduled meetings will work as normal, but users will be able to create new meetings within Teams. Start Teams adoption quickly, going beyond group collaboration. Improve your users’ meetings experience. If you choose to do nothing, Office 365 enables “Islands” mode by default. Both Skype for Business and Teams continue to run within their own “island” and all features and functions are enabled within both products. You may consider this approach if you’re running a PoC with a number of users, and want them to experience the full range of Teams features whilst still having the ability to use Skype for Business. Of course, without the right user adoption and communications, things can get messy fast. Be sure that your communication around how each product should be used is solid. Simple to operate, no interoperability. Requires good user communication to avoid confusion and to drive usage toward Teams. Exit strategy requires users to have fully adopted Teams by the time Skype for Business is decommissioned. Migration Method 4: Teams only. 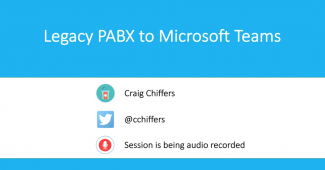 Alright, so you’re ready to take the plunge and use Microsoft Teams. Of course, you may still have users using Skype for Business on premise, but you want all of your cloud based users to use Teams. Limits user confusion by providing only one client to work with. And lastly, you may choose to avoid Teams (for now at least), and wish to stick with Skype for Business only. Keep in mind that at some point you’re going to need to make the move to Teams anyway, but at least you still have the option for now. Continue to meet business requirements that currently can only be met by Skype for Business. Interoperability only supports basic chat and calling between Skype for Business and Teams. Still following? Good. Maybe go and grab a coffee. Don’t worry, i’ll wait. Ok, you’re back? Let’s push on. There are two recommended upgrade journeys, one “simple” and the other .. not so much. This is a nice and simple way of selecting your users based upon their job roles (and their eagerness for change), then slowly introducing them to Teams before enabling Teams only mode for them. As you can see, it is possible to migrate different users at different rates. You may choose to move IT into Teams only mode quickly, but choose to move HR and Sales at a slower pace. Which ever method you choose, you’ll more than likely want to end up in a Teams Only mode. Alright. At this point you’re probably saying “That’s great Craig. I have a choice. 5 choices to be exact. But uh … which one do I choose?”. Great question! 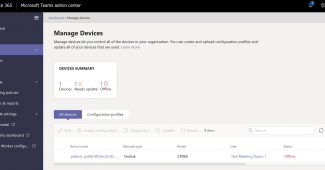 Of course, you’ll need to have a think about how your organisation responds to change, and how you’ll equip your userbase to start using and adopting Microsoft Teams. The below may help steer you in the right direction, though! In short, move to Teams. You’re not using any custom applications or have any on premise servers to deal with. Sort your user adoption comms out, select some users for a PoC and get them up and running with Teams. Once everyone is trained and happy, enable Teams Only. Firstly, kudos. CCE is an awesome product. Secondly, You’re in a great position to deploy Direct Routing to Microsoft Teams to continue using your existing Sonus or Audiocodes SBC and Phone company. Consider the approach of enabling Teams in Collaboration and Meeting only mode first of all. you’ll be able to continue using CCE to route calls to Skype for Business as well as direct routing to route calls to Teams. This one is a popular scenario. The good news is you have many options available to you. You could enable Skype for Business with Teams collaboration–only mode, Skype for Business with Teams collaboration and meetings mode, keep Islands mode enabled or jump ship and enable Teams-only mode. Keep in mind that your existing on premise SfB users will be unaffected by this change. Only your cloud users will be able to communicate with Teams users, and vice versa. Work to create a plan of moving as many (or all) users from SfB on premise to SfB online, and then to Teams. Leave only those users that absolutely must remain on premise (because of specific SfB on premise requirements). There’s good news for you. Microsoft have announced Skype for Business server 2019 for on premise, which we’re told will help you to eventually move your users to Office 365 and Microsoft Teams. If you have no desire to move users to Office 365 or to Teams, consider upgrading your Skype for Business on premise environment to 2019, once it’s released.